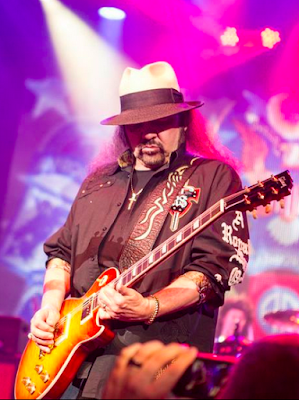 Lynyrd Skynyrd guitarist Gary Rossington suffered a heart attack on October 8. Rossington’s daughter, Mary Elizabeth, broke the news in a post on a Ronnie Van Zant Fan Page on Facebook. “Dad had a heart attack on Thursday,” she writes. “They went in to repair and unclog the two stents they did previously in the year which had a blood clot, added a third stent to one vein and in two weeks we will need to go in to do a fourth stent in one of his bypassed veins from 12 years ago. “Please keep him and us in your prayers as well as all the amazing medical staff that have saved his life several times now. We were very close to losing him this time and just pray that they will develop even better techniques soon to deal with heart disease. Lynyrd Skynyrd released a statement on Tuesday, saying “As Gary recuperates after suffering a heart attack late last week, the band regrets to announce that they’ll be canceling two upcoming performances. Full refunds are available at points of purchase for Friday’s show in Terre Haute, IN and the Mt. Pleasant, MI show will be rescheduled in 2016. Rossington is the sole remaining founding member of Lynyrd Skynyrd, whose roots date back to Jacksonville, FL in 1964. The guitarist was one of six band members who survived the October 20, 1977, plane crash near Gillsburg, Mississippi, that claimed the lives of Ronnie Van Zant, Steve Gaines, Cassie Gaines and three others. Rossington broke both arms, both legs, both wrists, both ankles and his pelvis in the incident.